Abstract: ZY-3 02 satellite loaded with Chinese first earth observing satellite laser altimeter, and has been launched successfully on 30th May, 2016. In this paper, the theoretical accuracy of the laser altimeter is analyzed, and several experimental areas are used to verify the actual accuracy. At the same time, the application of the laser altimetry data in the field of space-borne photogrammetry is tested. The laser altimetry theoretical accuracy of ZY-3 02 satellite in the flat area (slope less than 2 degrees) is about 0.85 m and 14.2 m in the elevation and planimetry direction, respectively. The effective laser altimetry data account for about 23.89%, and near the calibration field the elevation accuracy is 0.89 m, and planimetry accuracy is about 14.76 m. Moreover, the verified elevation accuracy is 1.09 m in the North China by high precision DSM terrain data, and laser footprint points accuracy on the surface of the Bohai inland sea is about 0.47 m. When the laser foot print point is used as elevation control point, the elevation accuracy of the ZY-3 02 satellite stereo images in Shaanxi Weinan can be increased from 11.54 m to 1.90 m without GCPs. Although ZY3-02 satellite laser altimeter is just a test, the results proved that the domestic satellite laser altimetry data can effectively improve the stereo images without GCPs, which will be valuable in the global mapping project. It is suggest that operational laser altimeter equip on the next satellite of ZY-3 serials. 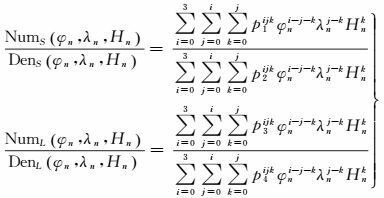 SCHUTZ B E, ZWALLY H J, SHUMAN C A, et al. Overview of the ICESat Mission[J]. Geophysical Research Letters, 2005, 32(21): 213–219. YU A W, KRAINAK M A, STEPHEN M A, et al.Spaceflight Laser Development for Future Remote Sensing Applications[C]//Proceedings of SPIE 8182, Lidar Technologies, Techniques, and Measurements for Atmospheric Remote Sensing:VⅡ.Prague, Czech Republic:SPIE, 2011:818-204. COYLE D B, STYSLEY P R, POULIOS D, et al.Laser Transmitter Development for NASA's Global Ecosystem Dynamics Investigation (GEDI) Lidar[C]//Proceedings of LiDAR Remote Sensing for Environmental Monitoring:XV.San Diego, California:SPIE, 2015:1021-1028. 崔成玲, 李国元, 黄朝围, 等. 国内外星载激光测高系统发展现状及趋势[C]//中国测绘地理信息年会优秀青年论文集. 南昌: [s. n. ], 2015: 288-295. CUI Chengling, LI Guoyuan, HUANG Chaowei, et al.The Status and Trend of Satellite Laser Altimeter at Home and Abroad[C]//Proceedings of the Best Papers of the Annual of Chinese Surveying Mapping and Geo-information.Nanchang:[s.n. ], 2015:288-295. 李鑫, 廖鹤, 赵美玲, 等. 激光测绘卫星对不同地表形貌探测能力分析[J]. 测绘学报, 2014, 43(12): 1238–1244. 唐新明, 谢俊峰, 付兴科, 等. 资源三号02星激光测高仪在轨几何检校与试验验证[J]. 测绘学报, 2017, 46(6): 714–723. 李国元, 唐新明, 陈继溢, 等. 基于地面红外探测器的星载激光测高仪在轨几何定标[C]//第三届新型光电探测技术及其应用研讨会会议论文集. 西安: [s. n. ], 2016. LI Guoyuan, TANG Xinming, CHEN Jiyi, et al.On-orbit Geometric Calibration of Satellite Laser Altimeter Using Ground-based IR Detectors[C]//Proceedings of the Third Seminar on Novel Dectection Technology and Application.Xi'an:[s.n. ], 2016. 李国元. 对地观测卫星激光测高数据处理方法与工程实践[D]. 武汉: 武汉大学, 2017. LI Guoyuan.Earth Observing Satellite Laser Altimeter Data Processing Method and Engineer Application[D].Wuhan:Wuhan University, 2017. 唐新明, 李国元, 高小明, 等. 卫星激光测高严密几何模型构建及精度初步验证[J]. 测绘学报, 2016, 45(10): 1182–1191. 李松, 马跃, 周辉, 等. 星载激光测高系统大气折射延迟的影响分析[J]. 应用光学, 2014, 35(3): 520–524. LI Song, MA Yue, ZHOU Hui, et al. Analysis on Atmospheric Refraction Delay for Satellite Laser Altimeter System[J]. Journal of Applied Optics, 2014, 35(3): 520–524. 李增元, 刘清旺, 庞勇. 激光雷达森林参数反演研究进展[J]. 遥感学报, 2016, 20(5): 1138–1150. LI Zengyuan, LIU Qingwang, PANG Yong. Review on Forest Parameters Inversion Using LiDAR[J]. Journal of Remote Sensing, 2016, 20(5): 1138–1150. 王成, 习晓环, 骆社周, 等. 星载激光雷达数据处理与应用[M]. 北京: 科学出版社, 2015. WANG Cheng, XI Xiaohuan, LUO Shezhou, et al. Space-borne LiDAR Data Processing and Its Application[M]. Beijing: Science Press, 2015. 李国元, 唐新明, 王华斌, 等. GLAS激光测高数据辅助的资源三号三线阵区域网平差研究[C]//第三届高分辨率对地观测学术年会优秀论文集. 北京: [s. n. ], 2015. 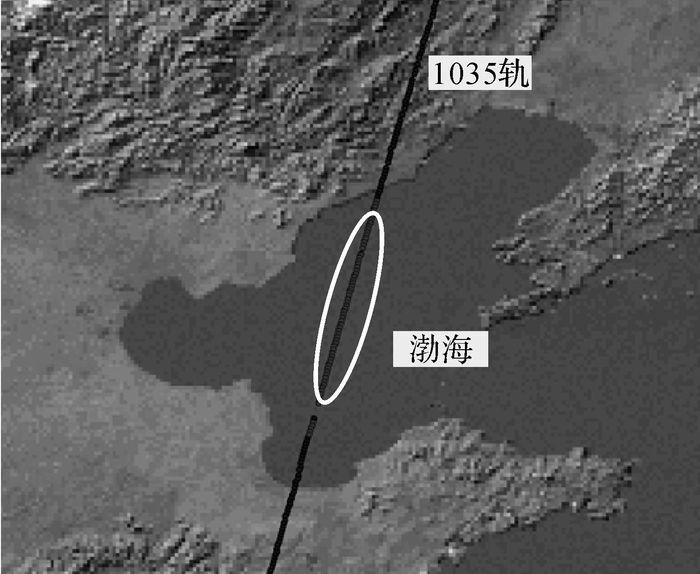 LI Guoyuan, TANG Xinming, WANG Huabin, et al.Research on the ZY-3 Block Adjustment Supported by the GLAS Laser Altimetry Data[C]//Proceedings of Best Papers of the 3rd Annual Conference on High Resolution Earth Observation.Beijing:[s.n. ], 2015. 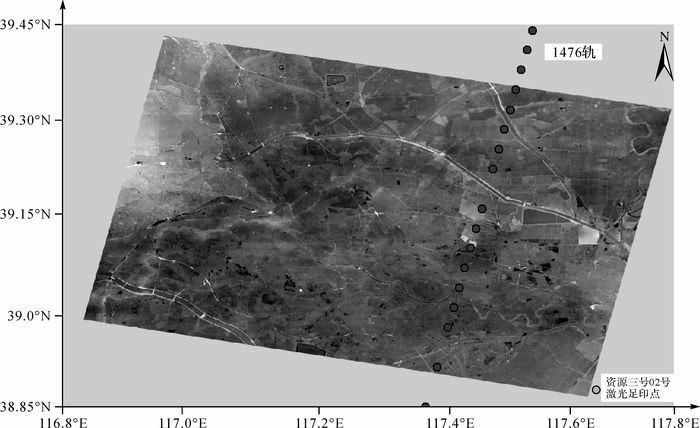 LI Guoyuan, TANG Xinming, GAO Xiaoming, et al.Improve the ZY-3 Height Accuracy Using ICESat/GLAS Laser Altimeter Data[C]//International Archives of the Photogrammetry, Remote Sensing and Spatial Information Sciences, Volume XLI-B1.Prague, Czech Republic:ISPRS, 2016:37-42. 胡文敏, 邸凯昌, 岳宗玉, 等. 嫦娥一号激光高度计数据交叉点分析与平差处理[J]. 测绘学报, 2013, 42(2): 218–224. HU Wenmin, DI Kaichang, YUE Zongyu, et al. 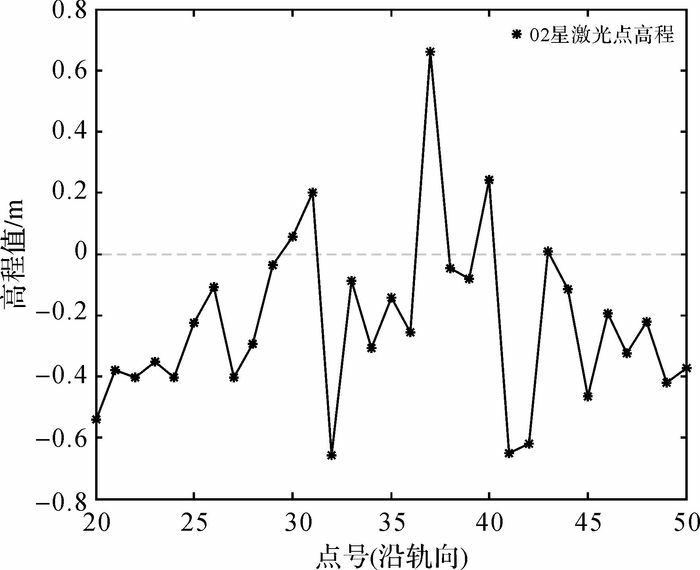 Crossover Analysis and Adjustment for Chang'E-1 Laser Altimeter Data[J]. Acta Geodaetica et Cartographica Sinica, 2013, 42(2): 218–224. 赵双明, 冉晓雅, 付建红, 等. CE-1立体相机与激光高度计数据联合平差[J]. 测绘学报, 2014, 43(12): 1224–1229. 王任享, 王建荣. 二线阵CCD卫星影像联合激光测距数据光束法平差技术[J]. 测绘科学技术学报, 2014, 31(1): 1–4. WANG Renxiang, WANG Jianrong. Technology of Bundle Adjustment Using Two-line-array CCD Satellite Image Combined Laser Ranging Data[J]. Journal of Geomatics Science and Technology, 2014, 31(1): 1–4. 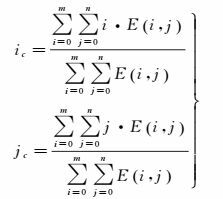 SCHUTZ B E, URBAN T J.The GLAS Algorithm Theoretical Basis Document for Laser Footprint Location(Geolocation) and Surface Profiles[R].[s.l. ]:NASA, 2014. 李国元, 唐新明, 张重阳, 等. 多准则约束的ICESat/GLAS高程控制点筛选[J]. 遥感学报, 2017, 21(1): 96–104. LI Guoyuan, TANG Xinming, ZHANG Chongyang, et al. Multi-Criteria Constraint Algorithm for Selecting ICESat/GLAS Data as Elevation Control Points[J]. Journal of Remote Sensing, 2017, 21(1): 96–104. 国家测绘局. GB/T 12341-2008 1: 25 000 1: 50 000 1: 100 000地形图航空摄影测量外业规范[S]. 北京: 中国标准出版社, 2008. State Bureau of Surveying and Mapping.GB/T 12341-2008 Specifications for Aerophotogrammetric Field Work of 1:25 000 1:50 000 1:100 000 Topographic Maps[S].Beijing:China Standard Press, 2008. 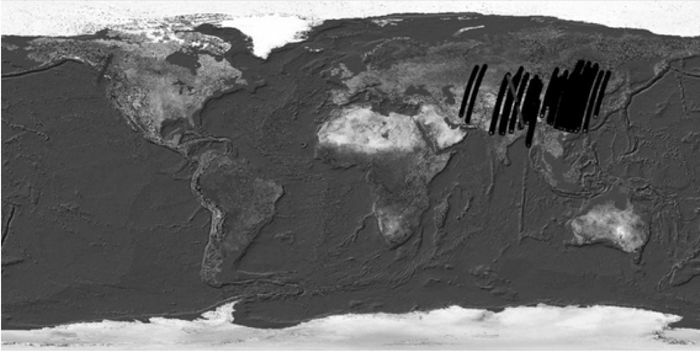 TAKAKU J, TADONO T, TSUTSUI K.Generation of High Resolution Global DSM from ALOS PRISM[C]//Proceedings of International Archives of the Photogrammetry, Remote Sensing and Spatial Information Sciences:XL-4.Suzhou, China:ISPRS, 2014:243-248. PAVLIS N K, HOLMES S A, KENYON S C, et al.An Earth Gravitational Model to Degree 2160:EGM 2008[C]//Proceedings of the 2008 General Assembly of the European Geosciences Union.Vienna, Austria:[s.n. ], 2008.